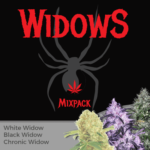 With a wide and ever growing number of OG Kush Seeds and strains constantly being produced, it can be difficult to choose just one particular OG Kush strain as the best, after all, the best depends upon what defines the best OG Kush. Is it the taste, quality of high, amount of commercial OG Kush Marijuana produced or speed of grow. Each individuals needs differ, so choosing one particular OG Kush Seed and saying it’s the ultimate and very best is impossible. 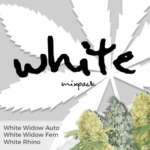 Here are a selection of some of our favorite OG Kush Seeds and a brief description. Click through the pictures on the right hand side for a more complete collection of the very best OG Kush Seeds available. Sensi Seeds Skunk Kush produce thick Afghani Skunk nuggets as buds. 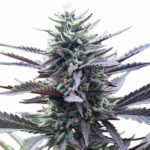 These are normal when growing the Feminized Marijuana Seed version of Sensi Seeds Skunk Kush, and the best phenotypes have an incredible, towering flower structure composed of grape-like bunches of buds. The swollen calyxes ensure solid, semi-open buds produce good weight and a large surface area for resin glands to develop. Some trichomes develop heads so bulbous that observant growers can actually watch them swell and change color from day to day as maturity approaches. When left to grow to their natural shape, or with the lower branches removed, the central bud of Sensi Seeds Skunk Kush will take up half the main stem on most plants, and up to 75% on the more open, Sativa leaning females. This Marijuana strain, emits musky Skunk and dark, resinous Afghani aromas, which are complemented by a sharp citrus zest. The highly prized phenotype delivers a fruity tang with lusciously sharp lemon and menthol flavors that linger on the palate and open up the airways. The Cali Connection DeadHead OG Kush. This is the famed Original 91 Chemdawg , AKA the skunk VA cut. as it was the only verified cut chem gave out. his online screen name is Skunk VA. hence the reference..The legend of legends. the creator of so many legendary strains like OG Kush, Sour Diesel and so forth. This cut was crossed with the SFV OGK F4 male, think Lemon Funk skunk. Containing a 60/40 Sativa to Indica ratio, DeadHead OG Kush is a heavy yielding strain capable of up to 600 grams per square meter. With fast flowering times due to its Indica genetics, it matures in approximately 8 weeks. Ideal for the indoor Marijuana Seeds grower. Barneys Farm Vanilla Kush is an incredible new Indica dominant strain is one of the most fragrant, full-flavored and potent ever offered. 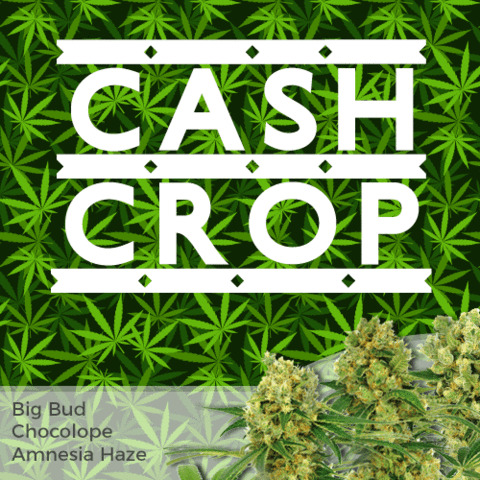 The intense aromas from large, dense colas produced by Barneys Farm Vanilla Kush buds are heavily flecked with red and gold trichromes which bring to mind wild vanilla and lavender, accented with lemon and orange peel. Once lit, the floral and herbal aromas become more concentrated and the smoke from Barneys Farm Vanilla Kush offers sweet, multi-dimensional flavors. The strong, long lasting high from Barneys Farm Vanilla Kush allows the mind to shift down a gear as muscle tension eases. Royal Dutch Genetics Strawberry Kush Seeds produce an indica dominant strain that flowers in 8-9 weeks. The yields are large and of great quality. 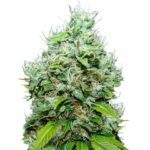 Strawberry Kush Seeds produce medium sized Cannabis plants indoors and its structure does well in the “Sea of Green” system as this marijuana is quite a branchy variety. Strawberry Kush Seeds produce plants whose’s taste is extremely fruity and slightly spicy. The result is a well-balanced mellow high evened out by a warm physical stone. Orange Kush Seeds produce the most Indica style Orange Marijuana, with a citrus taste sweeter than most other orange strains. From the father OG Kush. It is a very vigorous plant that has perfectly preserved the genetics of the mother, a super champion Orange Bud. Orange Kush Seeds can be grown both indoors and outdoors, they produce big buds, with a brutally critical quantity of THC resin. Resistant to fungi and pathogens, planted outdoors Orange Kush Seeds can grow between 2-3 meters tall, high production and harvesting in early October. 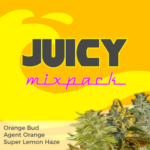 Orange Kush Seeds produce a relaxing medicinal Marijuana plant with a very special high. Orange Kush Seeds produce an excellent Marijuana, perfect when you want to relax your body and mind. Green House Seeds Bubba Kush is guaranteed to be the juiciest tastiest Kush ever. The genetics of Greenhouse Seeds Bubba Kush is Bubble Gum x Kush. Bubba Kush is an extremely sought after Marijuana strain but it has not been readily available until now. Green House Bubba Kush effects are powerful and heavy. The high starts in the face then spreads rapidly to the rest of the body producing a numbing effect. Green house seeds Bubba Kush is the all around super star bud. There’s a reason this herb is called Bubba Kush and not just Bubble gum and Kush, its because this bud has everything, its Marijuana seeds provide an awesome sweet smell, pleasurable and lingering taste, large hairs and a great color. You can discover more great OG Kush Seeds and strains. Check out the superb OG Kush Seeds collection, all guaranteed to be from the original Marijuana Seed producer as advertised. Do not settle for cheap imitation OG Kush Seeds, trust one of the oldest and most established Marijuana Seed distributor on the internet, and allow The I Love Growing Marijuana Seeds Company to ship your OG Kush Medical Marijuana Seeds to the USA.